The University of Houston (UH) received a legacy gift from The Stanford and Joan Alexander Foundation to create The Stanford Alexander Center for Excellence in Real Estate in UH’s C.T. Bauer College of Business. The Center’s mission is to support a nationally prominent practice-based graduate real estate degree program by bringing professional practice to the classroom. Through its programs and executive advisory board, which includes Houston real estate industry leaders, the Center will offer invaluable leadership to the graduate real estate program and engage students in internships, career counseling and placement, professional partnerships and hands-on mastery of professional projects through field-based projects. The Alexanders have been longtime supporters of many programs at UH. 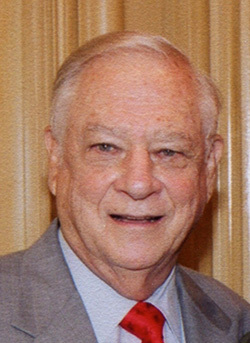 The Center’s namesake, Stanford Alexander, is chairman of Weingarten Realty Investors, a real estate investment trust with properties spanning the United States. Alexander was born in Houston and became Weingarten Realty’s president and CEO in 1962. His leadership propelled the company into a publicly traded real estate investment trust with a reputation as a leader in its industry. He is a former director of the Greater Houston Partnership Board of Directors and has been recognized as one of the 25 people credited with transforming Houston from a sprawling prairie to one of the nation’s largest metropolitan areas. John E. Walsh, director of the graduate real estate program and former president of Friendswood Development Co., said the first-of-its kind Center will be dedicated to instilling students with Stanford Alexander’s values, which are of the highest level of professional expertise and personal integrity. Beginning this year, the Center will debut a best practices initiative, a collaboration between students, faculty and real estate professionals to develop and advance best professional practices within the industry. Each year, a new best practice area will be explored. The initiative includes the publication of an annual best practices paper, research seminar, major conference and awards ceremony. The best practices initiative will serve as a catalyst in advancing expertise and promoting continuous improvement within the real estate profession. Walsh said “creating great cities” is a guiding principle of the real estate program and reflects the industry’s commitment to serve the community through responsible development of the built environment. The C.T. Bauer College of Business established its graduate real estate program in 2011 through a partnership with Houston-area real estate leaders. In just two years, the program, which offers a certificate of specialty to graduate students in finance pursuing Masters of Business Administration and Masters of Science degrees, has grown from one course that enrolled 13 students to a program that offered a dozen courses to 49 students, including 12 graduates, this spring. The Stanford Alexander Center for Excellence in Real Estate will complement this growing academic program and build on the vision set by its founders by giving students expertise and experience of real estate as a professional practice. “For over 50 years, Stanford Alexander has set the standard of what a Houston real estate executive should be. Now, because of his leadership, Houston will have one of the nation’s most attractive programs in real estate education,” said Welcome W. Wilson Sr., founding chair of the program’s Executive Advisory Board, CEO of The Welcome Group and former chair of UH System Board of Regents. Story originally published at http://www.uh.edu/news-events/stories/2013/may/05142013AlexanderCenter.php.